Courtesy of The Early Edition developer Nick Takayama, here's how to setup a shared Reminders list for shopping, and keep it updated via Siri. Hey, relationships are hard enough, so easy, fun, and geeky ways to reduce the friction are always appreciated. 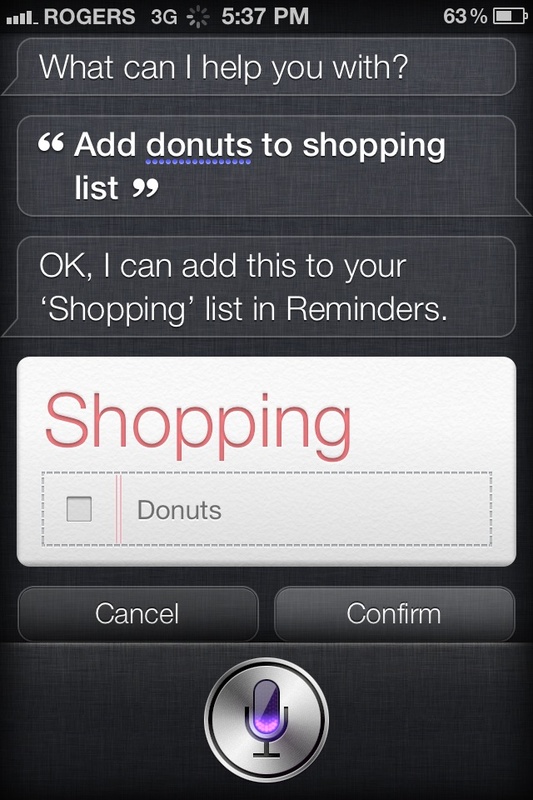 Adding donuts (or whatever) to your Shopping list automagically shares it to your significant other's list, and checking it off on your list automagically checks it of on the shared list, and Siri makes it super easy to keep adding more stuff as it occurs to you. Sure there are a bunch of apps for that, but if you want Siri to do it for you, this is how to do it for now.